Do you like Robo Battle? Share it with your friends. 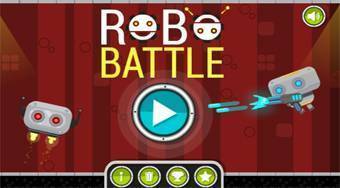 Robo Battle is a great adventure jumping game in which you have prepared eighteen different levels of difficulty. In each round, move a small robot across the playing area, overcome various obstacles, traps, shoot down enemies and get to the finish.